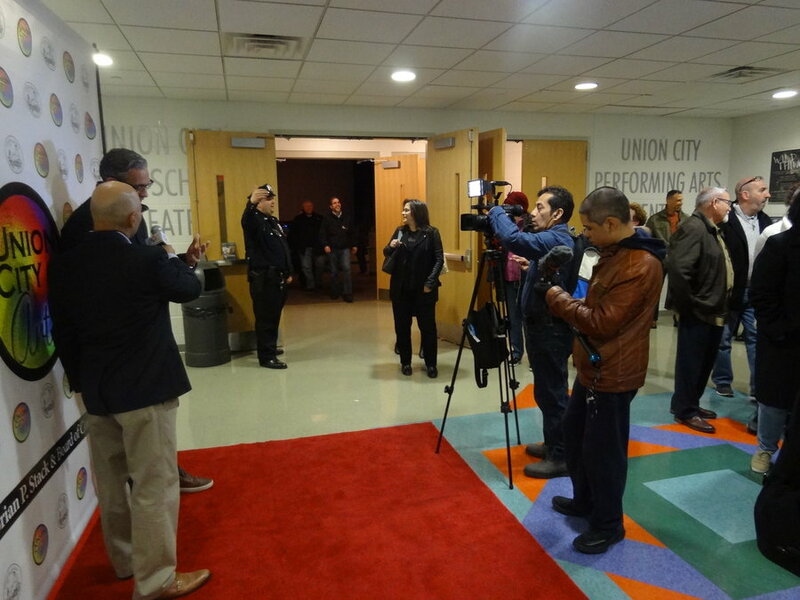 The world premiere screening of the documentary feature film of “Union City, U.S.A.” this spring had no red carpet and didn’t bring out big stars – but the real stars were the bits and pieces of the town’s interesting history that newcomers may not know. “We wanted to do a film to capture this rich history of Union City,” said Commissioner Lucio Fernandez, a filmmaker who directed the doc, which premiered locally in April. Union City, part of a region that’s home to one of the largest Cuban American populations in the United States, was once divided into two cities: Union Hill and West Hoboken. The 110-minute film heads back to the early days when the Manhattan tribe of Lenni-Lenape Native Americans sold the land to Dutch settlers. Since some of the area’s oldest residents are passing away and taking their stories with them, the film included interviews to preserve more recent history. To the hundreds of people who made their way through the doors of the Union City Performing Arts Center last week, the theme of the movie seemed to touch an important nerve. Some grew up here and have moved away, but came back for the premiere. They were pleasantly surprised to see images from the past. Steve Cerbone and his wife, Janet, real estate agents living in Fort Lee, enjoyed the presentation. Steve, raised in Union City, came with a photograph of his graduating class, as well as an autograph book with the signatures of some of the famous people who’d passed through the city in his youth. Entertainers from Milton Berle to Abbott & Costello had performed in local clubs in the middle of the twentieth century. Younger than the Cerbones by a generation, Fernando Uribe, a professor at Hudson County Community College, came to learn more about the history of the area. In a well-crafted montage of personal interviews, historic and contemporary photos, artist renderings, and video clips, the film details each of the remarkable phases Union City went through, including the historical football rivalry that pitted Union Hill High School against Emerson High School each Thanksgiving – and the somewhat bittersweet end of that era when the schools merged a few years ago. “This film could have gone on three hours, but we didn’t want people to tune out,” Fernandez said. Although many people know that Union City has been called the “Embroidery Capital of the World,” many did not know it was also for a time “The Burlesque Capital of the World.” The many theaters that once occupied Union City also hosted some of the top vaudeville acts such as Burns & Allen and the aforementioned Abbott & Costello. Frank Sinatra performed in Union City. Burt Lancaster got his start there as a singing waiter in one of the many restaurant clubs. Houdini the magician stored his props and often rehearsed in Union City. In the 1960s and into the 1970s, an area where Bergenline Avenue intersects Paterson Plank Road was often called “The Transfer Station” after the trolleys that used to run there. Transfer Station also described an area filled with clubs, becoming a legendary music scene rivaling (at the time) Asbury Park. Bands like Blondie, Dr. Hook and the Medicine Show, Ritchie Havens, and the Four Seasons were among the acts that traced their roots to this musical incubator. Union City holds the distinction of being the most densely populated city in America, with 90 percent of these Latino immigrants. The film highlighted current Latino performers who have roots here, and mentioned its still active theatrical productions – including the longest running Passion Play in the United States. Written, directed, and produced by Fernandez and co-written by Gerard Karabin, the film is more than just a puff piece about the positive aspects of the city. “We wanted to be real,” Fernandez said. 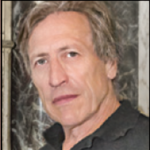 So the film also includes long segments covering the great but tainted administration of Mayor William Musto, and the dark rule of union leader and Mafia capo Tony Provenzano. All of the interviews for the film were done in May 2017, and one of the more moving of these was by the late Rhyta Musto, William Musto’s widow. She talked about (among other things) her husband’s military career in General George Patton’s unit during World War II, and its impact on her husband in the years that followed. Former Police Chief Brian Barrett talks about the work his ancestors did, in a construction company that built some of the most iconic structures in the city. Superintendent of Schools Silvia Abbato spoke about this history and the future of the school system, and her own memories growing up in Union City. Many of those still living had first hand experience in the mid-and-late 20th century history of the city, including historian Gerard Karabin, Former Commissioner James Lagomarsino, attorney Libero Marotta, historian Jane Pedler, Susan Scherman, Commissioner Celin Valdivia, former Mayor Arthur Wichert, and Connie Wichert. The film is narrated by actor Tom Colavito, himself a Union City native. The film was outgrowth of another project. Fernandez and Karabin began research in 2008 in preparation for their book “Union City in Pictures,” which debuted in 2010. “But I always wanted to do a film,” Fernandez said. Like most filmmaking, even a modest project needs significant funds. In 2016, the project received a modest grant from the Hudson County Office of Cultural & Heritage Affairs/Tourism Development. But this was shoestring budget and much of the project became possible because of the volunteer hours he had other people put in to get it done. There was a significant time investment as well. Ninety nine percent of the contemporary photos in the film were taken by Fernandez. Historic pictures came from the city’s museum, which is in at the Musto center. “I put out a call for some people [for photos], but very few people got back to me,” he said. Among them, a son of one of the Hudson Four (the band Sinatra played with at the time) gave him the picture of the band with Frank Sinatra. In early 2017, Fernandez and Karabin set up a research team, and in May of 2017 all the interviews were conducted. He was worried about memories and history getting lost as people moved out or passed away. Each time he would find an interesting fact in a book, he’d check it out. “I would contact this person and then that person and ask, ‘Is this true?’” he said. For instance, Debbie Harry of Blondie rehearsed in Union City and later appeared in both a video and a movie filmed in Union City. She also apparently worked as a go-go dancer in some of the many clubs near the Transfer Station. Fifty Cent, the rap star, still keeps his cars in Union City. “I saw his Rolls Royce the other day,” Fernandez said. What surprised Fernandez most was the reaction. Fernandez said people he spoke to would reminisce about life on this street corner or the other. “Everybody seemed to have big love for Union City, and cared about it,” he said. Fernandez hopes to do more public screenings, but anyone interested can buy a copy of the DVD at the Union City Public Library. The money from the sales will be donated back to the city, he said.